Today approved by the FCC the Cartel CT-1000. An old-style carphone handset, now functioning as a bluetooth handset. 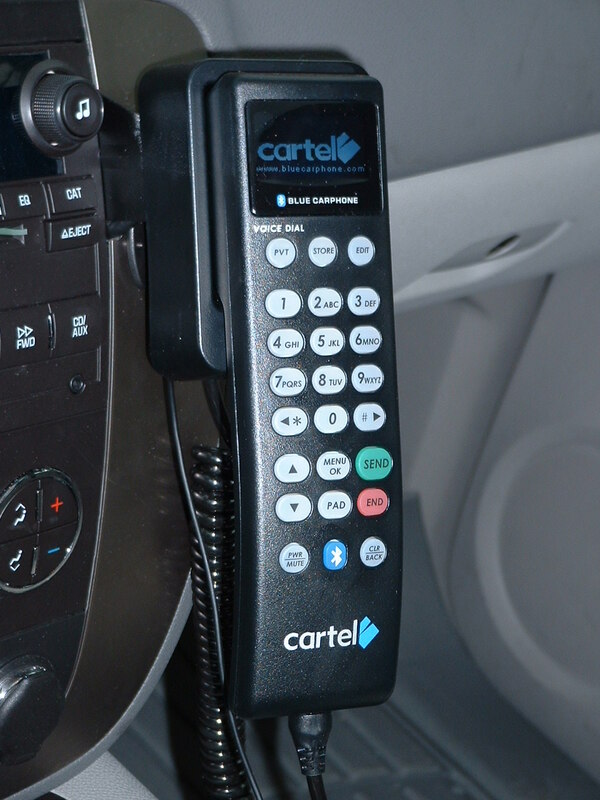 Just like 90's car-phone, it works as a speakerphone, so you can keep both hands on the wheel, and even now in some states avoid a ticket. But it can also be used a regular phone when your not moving. Has it own 500 contracts phonebook, display's Caller ID or if selected Talking Caller ID, supports voice dialing and many other features that makes this a must have for any retro-fan.